If you’ve seen any of the cooking videos I’ve made with Carlos — enchiladas, pollo al carbon, carne asada, choripanes, ponche navideño — you’ve seen us drinking Palomas. Palomas aren’t a new cocktail by any means, but they do seem to have recently been discovered by bartenders and drinkers in the U.S. It’s a simple cocktail, just tequila and grapefruit soda with a touch of salt and lime, but it’s so refreshing. And it’s good for you because the salt helps keep you hydrated when it’s hot outside, right? Right. If you like your cocktails less sweet, you can also make a Paloma with half grapefruit soda and half sparkling water or club soda. And if you like them spicy, we just discovered that a couple slices of fresh jalapeño muddled with the salt and lime juice (before adding ice and everything else) is a special treat. 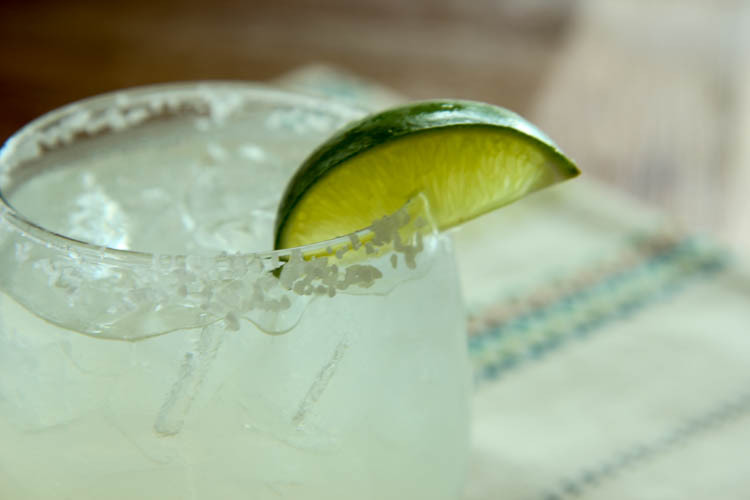 Fill a pint glass with ice and add tequila, salt and lime juice. Add half the soda and stir to mix. Add remaining soda. Supposedly the margarita is the most popular cocktail everywhere in the world except Mexico. In Mexico, it’s the Paloma. I like to add two dashes of grapefruit bitters when I make Palomas. Actually, I usually add grapefruit bitters to any tequila drink. Fancy bitters are something I’ve been wanting to experiment with. When we were in Hawaii, we had a cocktail made with pineapple bitters by the Hawaii Bitters Company. I tried to find it at a liquor store to no avail. After some internet sleuthing, it seems they began with a kickstarter and quickly oversold and weren’t able to supply all the bitters to the donors. :/ I guess now they only supply bars. Can’t even order it on their website! Lauren mote makes the most amazing bitters! Bitteredsling.com I promise you won’t be disapointed! I cannot wait to black out drinking Palomas! I’m going to finally be a “real Mexican”. Just bought all the stuff to make these! Jarritos too. Gonna be good. I tried your recipe and had to double the amount of Tequila. It still seems to be missing something, maybe a mint leaf? Hilah–love your videos & your guest chef for this recipe!! If you get a chance check out my wife’s company http://www.dallascaramelcompany.com –14 amazing flavors of caramel—–keep up the fun recipees..